Bioshock Infinite is the greatest game ever. At least this week it is. I’ve been blessed with a slightly slackened schedule this week (before hitting the road again for a fortnight), and I’ve used the gift of downtime in the best way possible: catching up on some much needed gaming. It’s especially fortuitous that such an amaze balls game came out at just the right moment to allow me to enjoy it before I get back to the salt mines. But you know, this game is just so epic, it’s got my brain spinning in a lot of directions. I won’t belabor this post with a review. There are a million, and they’re practically all favorable. Watch Adam Sessler gush, because I agree with him wholeheartedly. Or listen to this story on NPR’s All Things Considered. What I’ll add is this: Bioshock Infinite validates something that a lot of us have suspected for a while. Namely, that video games are growing to become perhaps the most vibrant form of storytelling in our species arsenal, which has some pretty serious implications for the future. No other media can blend the spectacle of film with the depth of a novel. Add in the interactive dimension and you have something that is, in a word, transcendent. I think Bioshock Infinite is presently at the peak of a long climb first embarked on by series like Deus Ex, and more recently by titles like Dishonored (not to mention the original Bioshock games). These games blend immersive 1st person perspective with amazing world building and a compelling, adult story. But for the most part, the protagonist is just a cipher. Mass Effect blew that trend away with Shepherd, and Bioshock has more or less perfected it in Infinite. You genuinely care about the characters–both Elizabeth and Booker, who you puppet through level after torturous level. And as you learn more about them and the world they inhabit, you can’t help but root for them. Building an emotional connection–that is art at its best. At this point, the only thing missing from these kind of games is a mechanism for compelling voice over narration. I would love to have some sort of Sam Spade inner monologue running as Booker guns down the bad guys, or explores a new corner of town. I mean, in addition to his ongoing conversations with Elizabeth. I think it’d be a keen way of giving us a more honest look at his character, than filtering it through what he chooses to verbalize. In that sense, we’re still just along for the ride. I am also looking forward to a game that gives us multiple avatars on the order of Booker Dewitt or Adam Jensen, perhaps telling the story from opposite perspectives, rather like George Martin’s novels… A guy can dream, right? After being treated to a number of excellent games, it’s increasingly clear to me that we’re on the cusp of a major change in how we receive the stories that matter to us. Reflecting on Bioshock, I can say without reservation that it is superior to any movie I’ve seen in the past two years, and better than most (but not all) of the novels I’ve managed to squeeze in. When I get my Occulus Rift (no, I didn’t preorder/back the project, boohoo), whenever that may be, I’m going to spend a long weekend in Columbia, taking it all in again. 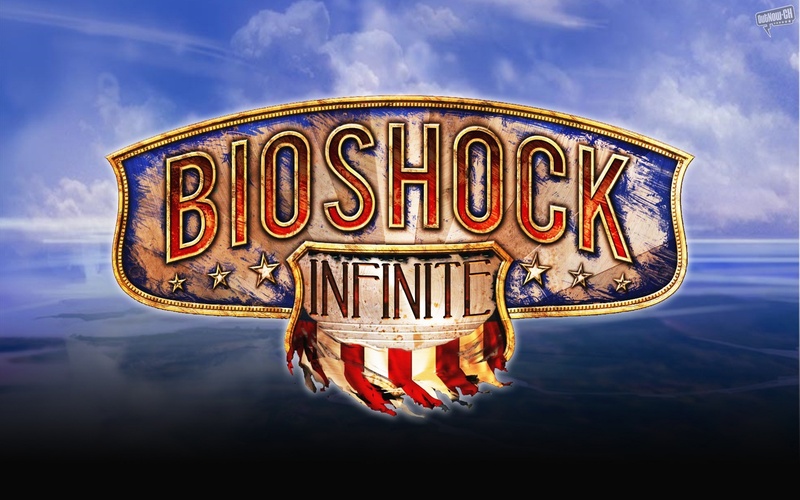 I know I’m not alone in my passion for Bioshock Infinite, but I’ve gotta ask, what are some titles that have changed your perspective on gaming, life, the universe, and everything else? Let us know in the comments. When I first began to really get into video games as a teenager it was Legacy of Kain: Soul Reaver that opened my eyes to the fact that games are an excellet delivery system of some of the best stories I’ve ever heard. You can see a great story at the cinema, you can read a great story in a book, but only in a video game can you truly experience it. I have fond memories of Legacy of Kain as well. I remember FF2 being very impactful, but it wasn’t until FFVII that I felt real connection to video game story. I think thats the one that hammers it home for me.